As a popular female dentist in Maroubra, Dr. Roxanne Irani believes that good oral health is an essential part of our patients lives. Regular dental examinations and good oral hygiene help prevent minor problems resulting into major ones – allowing time and money to be saved. 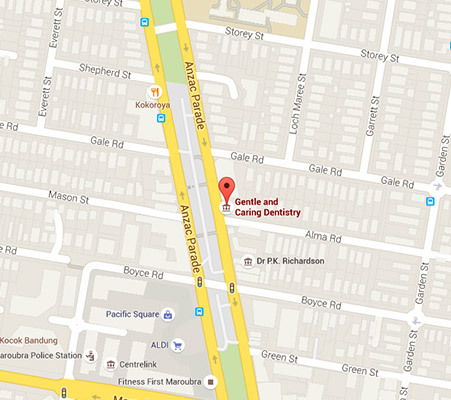 If you prefer a female dentist in Maroubra, Gentle and Caring dentistry should be your first choice. Dr. Roxanne Irani has extensive experience in treating a range of dental aspects and concerns, including general dentistry, children’s dentistry, emergency dentistry, cosmetic procedures, preventive and restorative treatments and treatments under sedation. Dr Irani now has 18 years’ experience in delivering highly professional and effective dental care and treatments in Maroubra, Australia. She believes in making her patients feel relaxed and comfortable throughout their treatments. She will take the time to understand your history, needs and wishes, before she sets about commencing any treatments. Practicing high quality, gentle and caring dentistry is Dr Irani’s philosophy. As a female dentist in Maroubra, her relaxed and caring nature is what helps to set her apart from other dentists. Call Gentle and Caring Dentistry at (02) 9349 6668 for an appointment today.